May we introduce our new website to you? You must certainly be excited about the products and innovations that we have for you. You will find them under the menu item "Products". 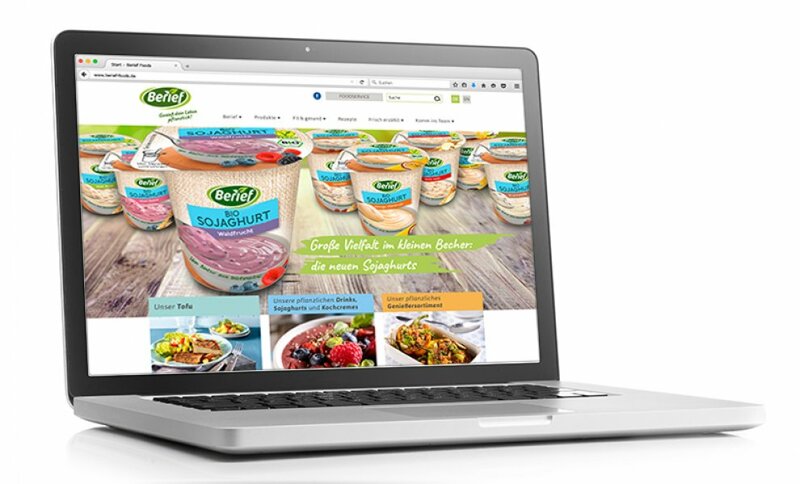 Here you will quickly find our tofu specialities, the vegetable quality range with sandwich spreads, the delicious barbecue range, or with a mouse click you can get an overview of our soyghurts, cooking creams and drinks. For all products you will find the list of ingredients, nutritional values, sources of supply and useful tips or recipe suggestions. We are particularly proud of the practical filter functions: Are you looking for organic products or gluten-free specialties? Simply click the filter buttons and they will be displayed for you! Under the menu item, "Recipes" delicious recipe suggestions await you; these recipes have been developed, tested, and appraised as delicious by our team of chefs. Here you will find everything for a great way to start the day, cool dishes – for guests or family, sweet little items for your indulgence, as dessert or snack, and in addition genuine soul food. We find the portion calculator to be particularly practical. And if you like: Simply share the recipe on Facebook and invite your friends over for a cooking and dining experience! Here we would like to keep you up to date with fresh news concerning products or a vegetarian diet. We will certainly also provide a tip or two here for preparation and cooking, as well as notices of trade fairs and other events. Thus, it's worth the effort to regularly take a look at what's offered here! Everything concerning the enterprise, Berief, the story of our beginnings, as well as useful information for the press is provided here. Likewise the contact form for suggestions, criticism or for questions. Anybody interested in working with or an apprenticeship with Berief should read these pages. Here we regularly publish open positions and job vacancies. Take a look! You see: There is lots to discover on our new website. All the best for your reading enjoyment!